Home BOLLYWOOD Kapil Sharma CANCELS Shoot Again, This Time For Arjun Rampal’s Daddy! 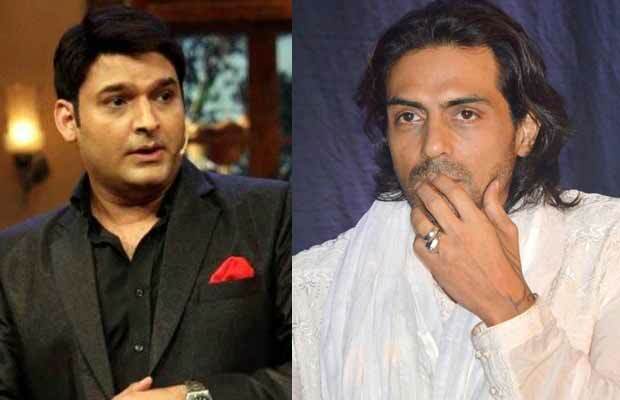 Kapil Sharma CANCELS Shoot Again, This Time For Arjun Rampal’s Daddy! Kapil Sharma once again sends his guests back without shooting for the particular episode of ‘The Kapil Sharma Show’. According to reports, Kapil Sharma did not turn up on the sets despite the guests of his show- Arjun Rampal and Aishwarya Rajesh being all ready for the shoot, waiting for him to arrive. As per the report in SpotboyE, Kapil was feeling unwell and so he couldn’t shoot for the particular episode with Arjun Rampal for his upcoming film ‘Daddy’. After waiting for some time, Arjun Rampal and Aishwarya Rajesh returned back from the sets of ‘The Kapil Sharma Show’ after knowing Kapil is not coming for the shoot due to bad health. Later, Kapil Sharma made tMubarakan team wait for hours and hours by citing his health issues. After waiting for long, the star cast of the film left when Kapil Sharma did not arrive on the sets of “The Kapil Sharma Show” for the shoot. The shooting for the episode was rescheduled. “I am grateful to Sony Entertainment Channel for believing in me and our show and supporting us in creating and bringing unlimited entertainment to every household every weekend,” he added. Meanwhile, Kapil Sharma’s co-star Ishita Dutta took to twitter to announce the release date of the film. Next articleOops! Sidharth Shukla Asked To Leave Sets Of Dil Se Sil Tak After A Heated Argument With The Project Head!